Digiarty provides so many special offers as Back to School Sales & Giveaway for software lovers :). Now buy WinX HD Video Converter Deluxe and get Winx DVD Ripper for FREE.WinX HD Video Converter Deluxe is a simple-to-use program which comes with advanced features for encoding video files.You can import media files into the queue by using the file browser or the “drag and drop” function. On of the coolest feature is it supports Batch conversions. You can also configure audio and video settings(quality, sampling rate, volume, format, image settings, resolution) as well as advanced options (CPU core use, deinterlacing, high quality engine). Offer easy-to-use functions, super fast converting speed, best quality and 100% stable process. Even a newbie can convert videos using this software application. 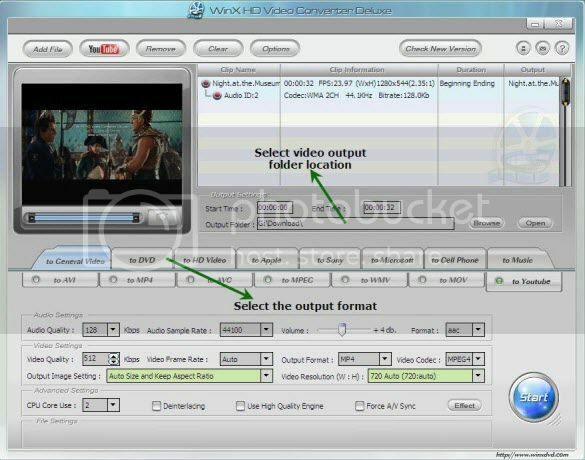 WinX HD Video Converter Deluxe Main Window provides 3 easy steps to convert videos. Just drag and drop the video you wish to convert. After adding the video select the Output video format you want and also the output file location. Tips – You can use Online Video Downloader to save online videos to computer and iPhone/iPad.